Hyway Group (Malaysia) Sdn. Bhd. 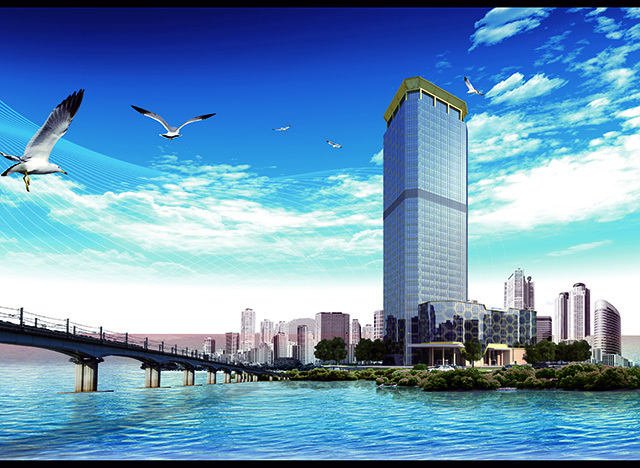 Changchun Hongjian Engineering Design Co., Ltd.
Suzhou Ding Ming Enterprise Management Co., Ltd.
Jiangsu Anmeihe Real Estate Development Co., Ltd.
Jiangsu Ming Chuang City Construction Co., Ltd.
Beijing Kuntai Investment Co., Ltd.
China’s Jun Chen Industrial Co., Ltd.
Zhonglan Petrochemical (Dalian) Co., Ltd.
Angola Ondživa hydraulic engineering project This project is located in Angola Cunene, which includes three pump stations, 3 water plants and 104 kilometers long pipeline laying. 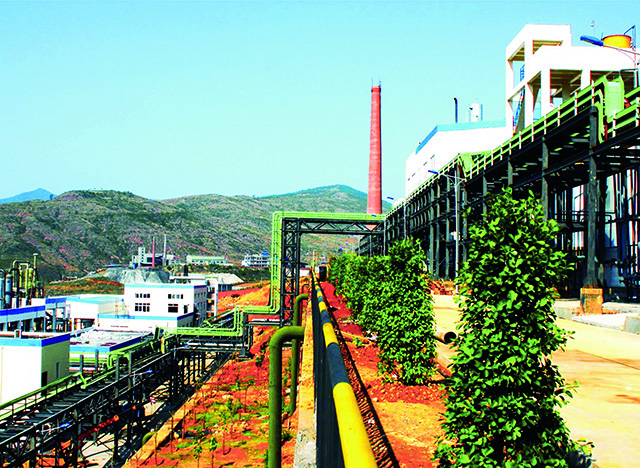 400kt/a Polyvinyl chloride project of Xinjiang Tianye (Group) Tianchen Chemical Co., Ltd.
Join hands with clients for win-win and a splendid future! 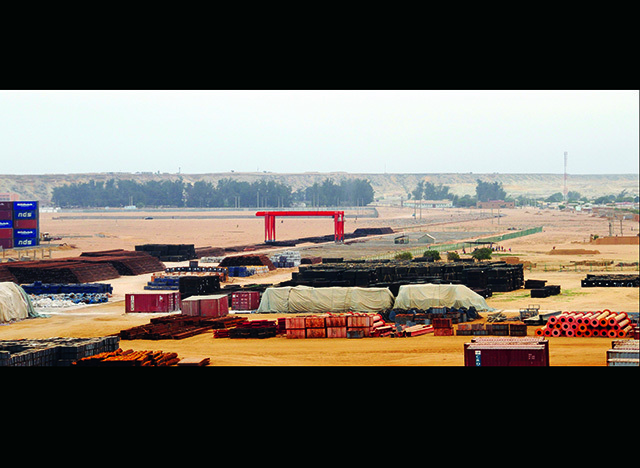 On July 10, 2017, the award of contract and groundbreaking ceremony regarding Luanda New International Airport By-line Project and Luanda Multi-functional Station Project jointly contracted by China Hyway Group Limited and Tianjin Oubaiwei Corp. Ltd. were held respectively at Luanda KAPALANGA railway station and NAIL. On October 20, 2018, Jimei University held the 100th anniversary meeting; leaders at each level, schoolfellow at domestic and abroad and the public got together to celebrate the 100th anniversary. 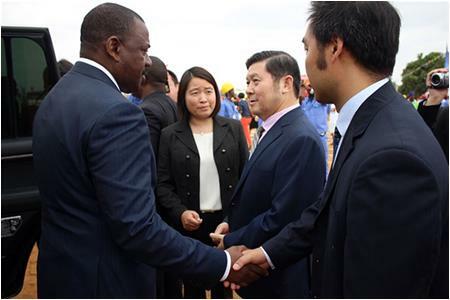 Vice President Wei Ruihai and Deputy Director of General Office Zhang Yan of Hyway Group were invited to join Jimei University’s 100th anniversary, and expressed their regards to the 32 students in the “Jimei University-China Hyway International Program” from Angola accompanied by Vice Dean Chen Tongwen and Deputy Party Secretary Lu Qile of the Overseas Education College. On the afternoon of April 4, 2019, the signing ceremony of “The Belt and Road Initiative” Strategic Cooperation Agreement on International Talent Joint Training between the Group Company and Jimei University was successfully held in conference room 103, Shangda Building, Jimei University. 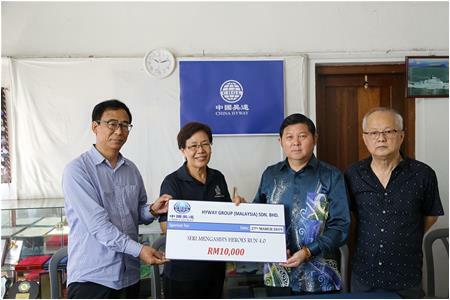 Following the donation to the Seri Mengasih Charity Institution on March 27, 2019, the staff of Hyway Group (Malaysia) Sdn. Bhd. 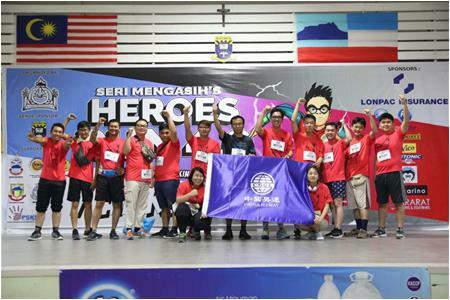 participated in the fourth "Heros Run" event organized by the Seri Mengasih. This long-distance race is divided into two categories, 3 km and 10 km, respectively. All the staff of our company have selected a 10-km race. More than 2,000 people participated in the Hero Run, with a large scale of contestants full of high enthusiasm. 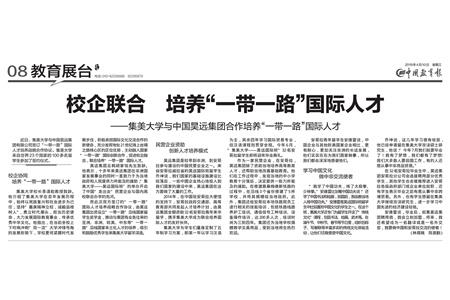 At 2:00 pm on March 27, 2019, Zhou Lu, Deputy Director of Tianjin Commission of Commerce, led Zhang Weifeng, Deputy Director of Division of Foreign Economy and Trade, Gao Jian, Division of Foreign Economy and Trade, and Guo Tieru, Division of Service Trade to visit our company for on-site research services. They were greeted and met by Zeng Biao, Chief Engineer of the Group Company, Huang Hui, Deputy Chief of Engineer, Zhang Yan, Director of the Comprehensive Office, Zhao Wenchao, Head of HR department, Lv Yajie, Director of Trade and Security Department, Yao Ke, Head of Finance, with expressing their warm welcome to the arrival of the leaders. 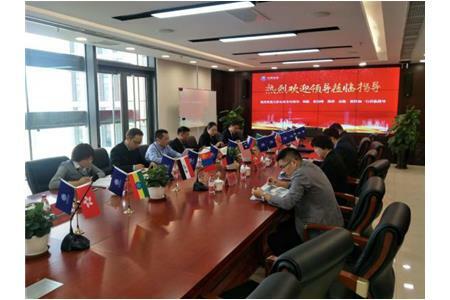 On the afternoon of April 4, 2019, the signing ceremony of “The Belt and Road Initiative” Strategic Cooperation Agreement on International Talent Joint Training between the Group Company and Jimei University was successfully held in conference room 103, Shangda Building, Jimei University. Mr. Hu Jiaming, President of the Group, Zhang Yan, Director of the Integrated Office of the Group, Wei Zhiqiang, Senior Director of the Human Resources Department of the Group, Li Qingbiao, President of Jimei University, Cao Minjie, Vice President of Jimei University Office, heads of office of Jimei University, International Cooperation and Exchange Office, Overseas Education College and more than 100 international students of Jimei from 23 countries participated in the signing ceremony. 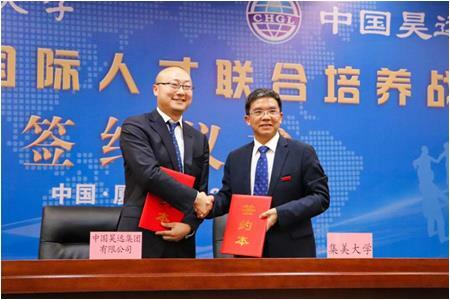 The signing ceremony was presided over by Cao Minjie, vice president of Jimei University. In the ceremony, both sides signed the “The Belt and Road Initiative” Strategic Cooperation Agreement on International Talent Joint Training. 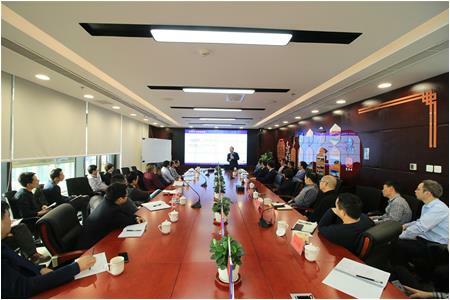 To further strengthen the legal sense of the Group’s business managers, improve the ability of managers at all levels to control legal risks in the process of business operations, effectively reduce operational risks and improve economic benefits, the Group Company organized and carried out special training on enterprise legal risk management in the morning of February 21, 2019 in Tianjin’s office district, which was presided over by Liu Daiwen, Chairman of Group Company. This special training activity is attended by a total of 30 people, including leaders of the Group Company, heads of functional departments, major leaders and department heads of branches at home and abroad. 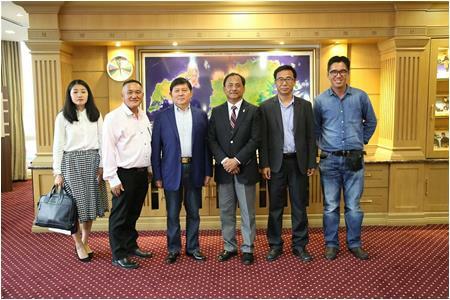 On March 25, 2019, Chairman of the Group Company, Liu Daiwen, Deputy Executive General Manager of Malaysia Branch, Wang Jing and staff representatives Moh Mee Soon, Winfred Wong Hai Ching and Zhang Xiaoyun under introduction of Wong Nyuk Lin, Local partner of Malaysia, met with Sabah Local Government and Housing Minister YB Datuk Haji Jaujan Bin Sambakong. 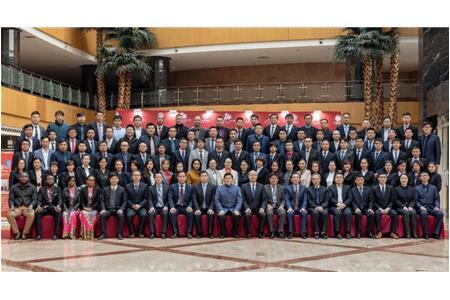 Forum on China-Africa Cooperation was held in Beijing on September 3, 2018. 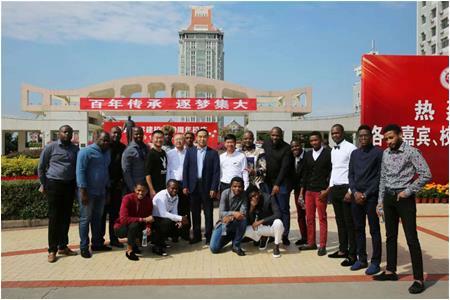 Mr. Liu Daiwen, Chairman of Hyway Group, took part in the High-Level Dialogue Between Chinese-African Leaders and Business Representatives & Sixth Conference of Chinese-African Entrepreneurs on invitation on behalf of the Group. How time flies! The one decade, though seeming like a blink in the long history, has presented its profoundness and magnificence. 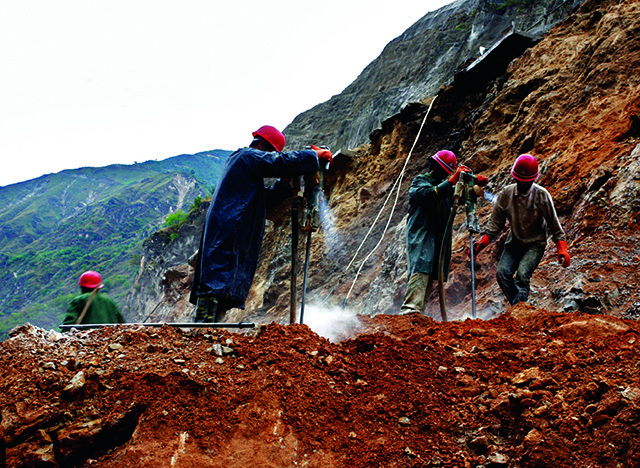 Through one-decade ups and downs, we are persistent and take advantage of every opportunity for better development. 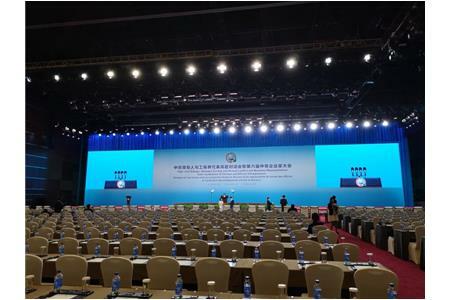 February 19, 2019 witnessed the grand opening of Tenth Anniversary Celebration & 2018 Annual Working Conference of the Group Company in Renaissance Tianjin TEDA Convention Centre. On the morning of Mar. 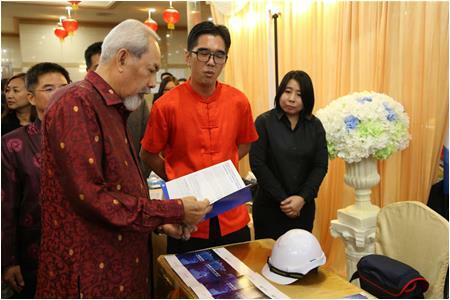 27, 2019, Liu Daiwen, Chairman of the Group, Wang Jing, Executive Deputy General Manager of Malaysia Branch, and employee representatives, at the invitation of Seri Mengsih Charity, attended the donation ceremony of caring for special children in Malaysia.